*International Bestseller* *A Book of the Month Club Pick* *An Indie Next Pick* Jojo Moyes meets Eleanor Oliphant in this utterly charming debut novel that proves that sometimes you have to break your heart to make it whole. 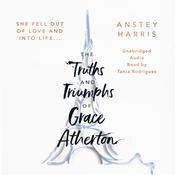 From the simple melody of running her violin shop to the full-blown orchestra of her romantic interludes in Paris with David, her devoted partner of eight years, Grace Atherton has always set her life to music. Her world revolves entirely around David, for Grace’s own secrets have kept everyone else at bay. Until, suddenly and shockingly, one act tips Grace’s life upside down, and the music seems to stop. It takes a vivacious old man and a straight-talking teenager to kick-start a new song for Grace. In the process, she learns that she is not as alone in the world as she had once thought, that no mistake is insurmountable, and that the quiet moments in life can be something to shout about… Filled with charming and lovably flawed characters—and illuminated with the undeniable romance and magic of Paris—Goodbye, Paris is a poignant, compulsively readable novel that shows us that when it comes to love, there’s more than one way to find happiness. Jojo Moyes meets Eleanor Oliphant in this utterly charming debut novel that proves that sometimes you have to break your heart to make it whole. 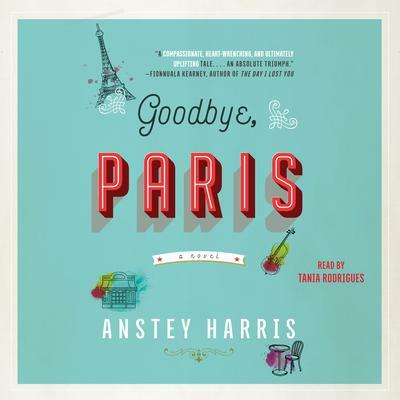 Filled with charming and lovably flawed characters—and illuminated with the undeniable romance and magic of Paris—Goodbye, Paris is a poignant, compulsively readable novel that shows us that when it comes to love, there’s more than one way to find happiness. Anstey Harris teaches creative writing for Canterbury Christ Church University and in the community with her own company, Writing Matters. Harris’s short stories have been widely published in anthologies and online and she was the winner of the H.G. Wells Short Story Prize in 2015. She is a three-time winner of the Faber Academy’s #quickfic competition. Anstey lives in Kent, England, and is the mother of the singer-songwriter (famous for her stint on The X-Factor) Lucy Spraggan.